In any line of business one of the keys to success is evaluating what the competition is doing. In this age of internet business it means checking out their website, their blog and their backlink profile. All of these areas can identify areas for improvement and new ideas. Their website may give you ideas on establishing new pages to better rank for long tail keywords, their blog can indicate topics that are popular and attract the customer base you are searching for, and their backlinks can open up new areas for attracting or expanding your audience. Checking the competition’s backlinking can point out missed or overlooked opportunities. 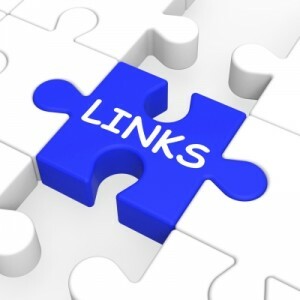 What you are looking for is possible backlink opportunities that are of high value and if possible, low or no cost. In the past this was a very time consuming and tedious task. It required spending a great amount of time developing a list of competitors’ backlinks and then checking them all out to find opportunities. There are a number of articles on the web about the importance of competitor backlink prospecting and most of them provided a listing of programs available such as SEOMoz, SEM Rush, etc. that you can use to accomplish this, but most of them leave out the details of how to go about doing it effectively and efficiently. I recently did an analysis of backlink opportunities for a client and tried out a new system that worked extremely well for me. It quickly identified backlink opportunities in areas of news releases, industry articles and industry directories, without the days of work previously required. After identifying the clients’ chief competitors I did an analysis of all of them to determine the 3 that ranked the highest for their website’s domain authority. I then used Open Site Explorer and the process listed below to determine those high value backlinks used by the competition that the client was missing in their backlink profile. I initially selected the top 50 backlinks of each competitor but expanded it to the top 100 to provide a suitable list of opportunities. Identify keywords and check search engines to determine whether or not those selected are the top competitors based on how they rank in the Search Engine Results Pages (SERPs). Copy top 100 backlinks and paste onto new spreadsheet. Highlight each one in a different color. Remove all remaining client backlinks. Check full URL (Column B) to determine whether or not the competitors paid for the links and evaluate the relevancy of the source, and delete any paid links and non-relevant sites. You will be left with high value backlinking opportunities which require no cost other than time. The process typically takes about four to six hours of hard work, but the result could be a hefty increase in high quality backlinks for the client. Did you find this post helpful? If so, please share it with others. Have other thoughts on this topic? Please post a comment below. For more SEO tips, please Like us on Facebook and Follow us on Twitter.